When a young person is given ISS as part of a court order, they may wish to participate in a fundraising project. This will give the individual the opportunity to enhance their interpersonal skills, their self-confidence and personal achievement, and also the chance of possibly impressing future potential employers. Previously young people on ISS have completed walks along sections of Offa’s Dyke, The Abergavenny Three Peaks ( Blorenge, Skirrid, Sugar Loaf ) and Pen-Y-Fan, the highest peak in the Brecon Beacons. Young people choose their own challenge. On completion of the challenge the Young person will visit the charity and hand over their sponsorship. After the event the young person will receive a framed photo as a memento for them to keep; a reminder of their personal achievement of helping their chosen charity. 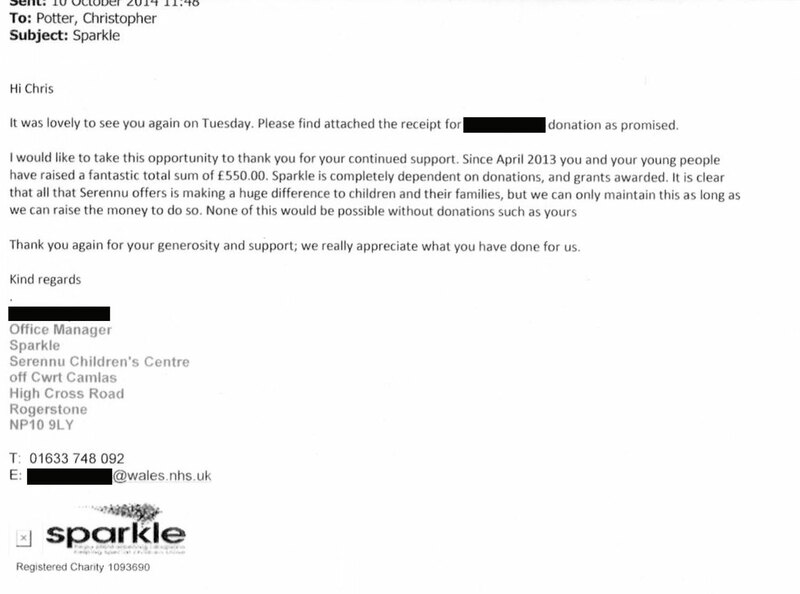 If the young person has not got any particular Charity they would like to support, The Sparkle Appeal at the Serennu Children’s Centre Newport, is a popular charity that several young people have raised funds for previously.